Shop IMALENT Spain There are 11 products. 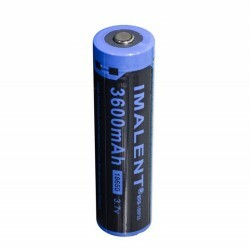 IMALENT is a brand that is being introduced with success in the market with a line of flashlights innovative that stand out for being rechargeable and with touch buttons. 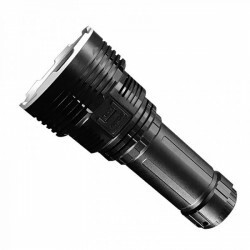 IMALENT is currently the brand of flashlights tactical, more powerful, and that incorporates high quality LED prices adjusted to the current market. 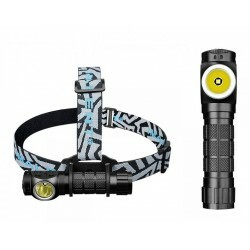 The flashlights IMALENT are very comfortable to hold and you can carry it without problems. Have a weight and a size very balanced and can be operated with one hand, the buttons are used without having to move the hand. The advantage of the rechargeable flashlights is that they have a power outlet to charge the batteries without the need of having external charger or take out the batteries. The charger is incorporated within the own flashlight. Buy in the Store IMALENT Silicon Online Store is easy and simple. Permanent Stock in store in Spain, and free shipping right away. Imalent DM20 have a new CREE XM-L2 U2 3C neutral white LED, the maximum output capacity can be reached at 800 lumens. 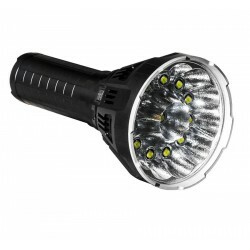 IMALENT DM series offers the best performance in the flashlight industry which uses a single cell and LED. 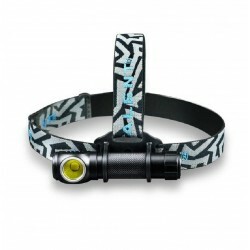 A full control from the tail cap means of making easier flashlight operation. 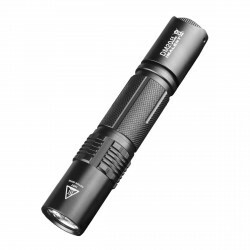 This flashlight professional is at the limit of output for a front of 3000 lumens. If you are a fan of the lanterns and I love the headlights in the form of L sure that you will want to try the Imalent HR70. 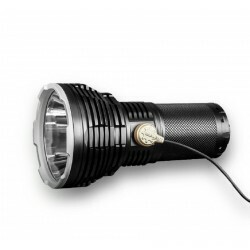 CREE LED XHP70 2nd generation, powerful flashlight with a lifespan of up to 50,000 hours and a maximum output of 5500 lumens. Circuit intelligent charging by USB self-checking built-in, convenient, fast and secure. Reflector OP aluminum. Water-resistant IPX-8 standard waterproof (2 meters submersible). 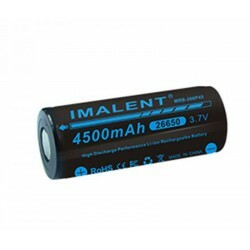 Battery lithium rechargeable brand Imalent. Model MRB-186P36. Size 18650 (type Píla cylindrical protected). Load power up to 3600mah. Lower cost and enviromentally friendly. 1000 times full charging capability.Provide maximum power output up to 15A, compact size, suitable for various kinds of high drain flashlights, no memory effects, and extremely low self-discharge battery power. Free shipping!! Silíceo Introduces the new review of the Imalent DN35 rechargeable micro USB flashlight, with the new high intensity CREE XHP35 HI LED. 2200Lm and one reaches almost 600 meters d elongation. 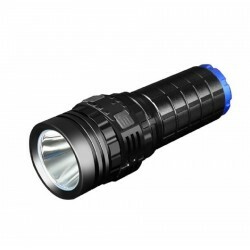 Practical and handy flashlight pocket very powerful. 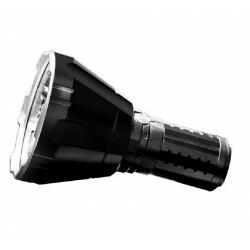 Flashlight professional IMALENT RT70C da 6500 lumens of light output. It is designed for the demands of multiple output levels. Takes a load circuit intelligent self-check of security built-in, convenient, fast and secure. IMALENT is a new manufacturer of flashlights with more innovations. The brand is centered on a touch-screen interface only sensitive to the pressure (output adjustable ). Has recently introduced a new control system with mini-computer built in, as the DDT40. IMALENT definitely innovates in terms of interface. All models IMALENT are a solid and compact multi-emitter light, with a lot of new features. IMALENT was a pioneer in the professional models, including a remote control interface and touch screen. IMALENT is a international distribution of outdoor lighting products and LED flashlight. The line IMALENT is currently composed of three categories of lighting products. Series touch-screen display intelligent microcomputer series, screen series, Dimmer. The focus of our product offerings is to show features that take advantage of the cutting-edge technology, a philosophy that has resulted in IMALENT establishing a point of the growing support in the international market. The concepts of innovative design, along with the characteristics of superior performance of models of the LED flashlight are the result of that IMALENT has the best R & D team who also possess a background of outdoor experience. Our team members not only also explored in the difficult time, in the dark of the night using the products that they design and build. When you grab a flashlight IMALENT, the first thing that you notice is the quality finish that our experts achieve. Because no product leaves our plant until it complies with these standards, are often the preferred choice of professionals engaged in activities unrelenting as rock climbing, Search and Rescue, rescue from the avalanche, law Enforcement, Military and outdoor pursuits where your light cannot fail. This also makes the line IMALENT is worthy of consideration by discerning consumers who want the best for either their own recreation or simply for giving as a gift that will never be forgotten. When it comes to penetrating the darkness, IMALENT is dedicated to making your life more comfortable listening to their needs, and doing everything possible to address them. DDT40: Lantern 4 light bulbs front 4000LM - 5180 lumens total) - remote Control distance of 10 meters - Round outdoor lighting - lighting of scene. 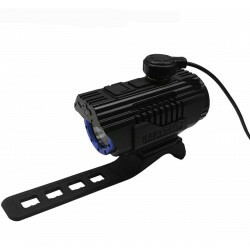 EU06 2015VERSION: 1190lumens - Round outdoor lighting - strobe snapshot - remote Control. SA04: 930lumens - RGB flashlight LED flashlight color temperature - Variable or flashlight double color temperature Flashlight for photographers - Multi color - Brightness adjustable.